Cube i9 is an amazing mid-range Windows 10 tablet with amazing specs. Tablet market has been evolving since 2012-2013, now they are better and faster. Vastly available tablet sizes are 7″ and 10″. 12.2″ tablets are limited in the market but best for professionals and productivity. The Cube i9 is ultra-wide 16:10 which makes it great for watching movies on its large screen. 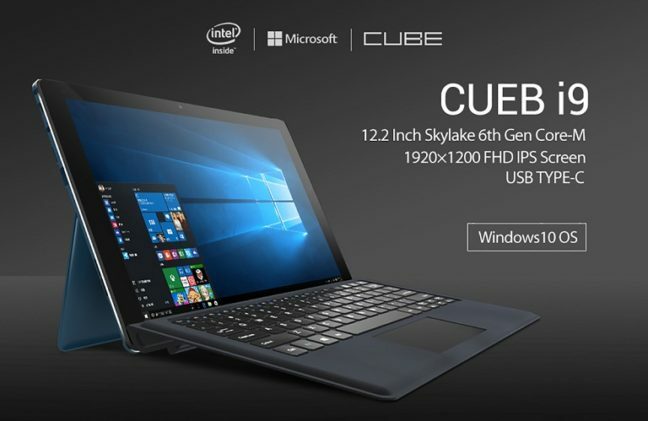 There are plenty of tablets out there but this one tops other Chinese made Windows 10 tablets and the price is quite reasonable as well. Gearbest selling them for £387.05 at the moment which in under £400, and the product is good for the price. Find out a bit more about the nice tablet below.